Have you ever considered visiting Maine in the winter? Some would shudder at the thought of snow and cold, but it can be the most picturesque time to be here! We commonly see pictures of the spectacular Maine coastline with its rocky outcroppings and crags in the springtime or summer, or even during fall foliage. Ditto with the lighthouses, standing guard over the shores. 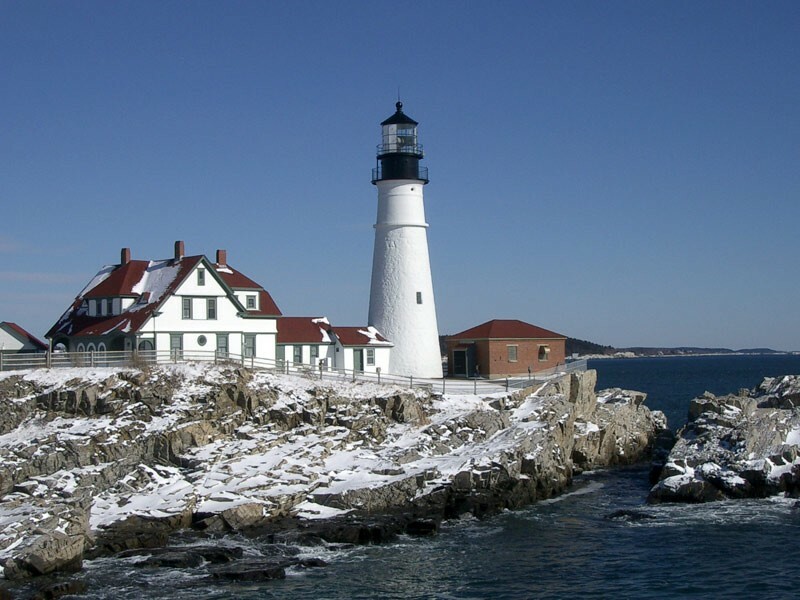 Take a crisp, clear, sunny day and add a light dusting of snow, and you have a truly breathtaking photo of the same lighthouse (or stretch of coastline)! The ideal time to come, of course, is on a sunny day, when the weather is just below 32F (0C) and there is a fresh snowfall (before anyone has walked on it!). Sometimes that is difficult to anticipate, though. To avoid disappointment, consider other types of photos as well – a wonderful lighthouse appearing against the gray skies, with a blanket of snow around it. If you have a light snow falling, it can make for a very interesting photo (though if you must use a flash, be careful that you don’t just see glare on the snowflakes). Winter is also a great time to see moose. 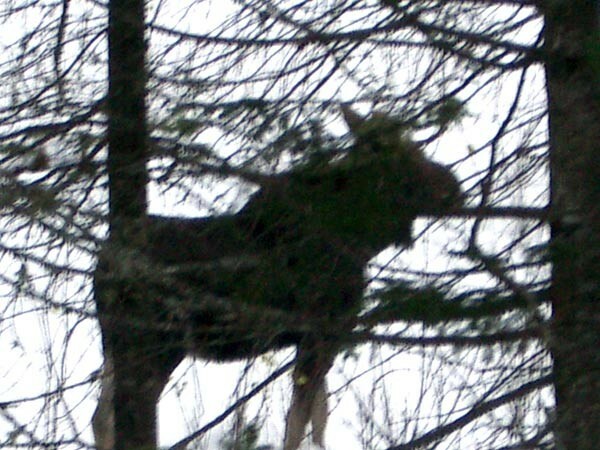 They normally are more easily found near dawn and dusk, and often in the rural areas near the northern and western parts of Maine (such as Rangeley Lake, Moosehead Lake, or Aroostook County – to name a few), but can appear almost anywhere – especially if snow has made it difficult for them to find food in their customary locations. Just be careful, as they do wander into the roads, so you can round a bend in the road, or crest a hill, and find yourself face-to-face with one of the giant creatures! If you don’t startle them, you can usually get a picture, but don’t try to get too close, as they do startle easily at strange sounds – and they are big! And, of course there are the traditional winter activities of snowshoeing, cross-country skiing, and shopping! Check out the specials on our specials page!